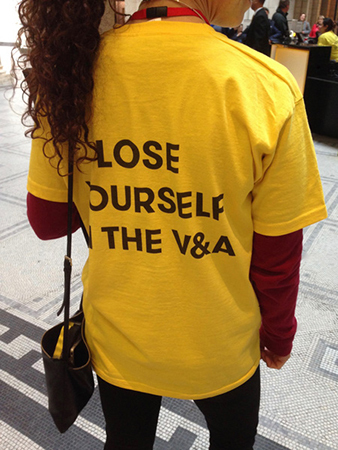 In his role as Creative Consultant for CCD, Nick Bell has today participated in a day-long research experiment at the V&A. This involved covering over the museum maps and not making any maps available to today's visitors to the museum. 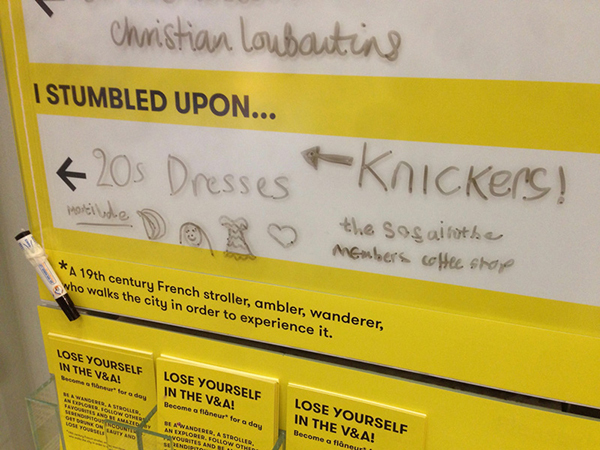 Instead, visitors were invited to get lost - to lose themselves in the collections and exhibitions. 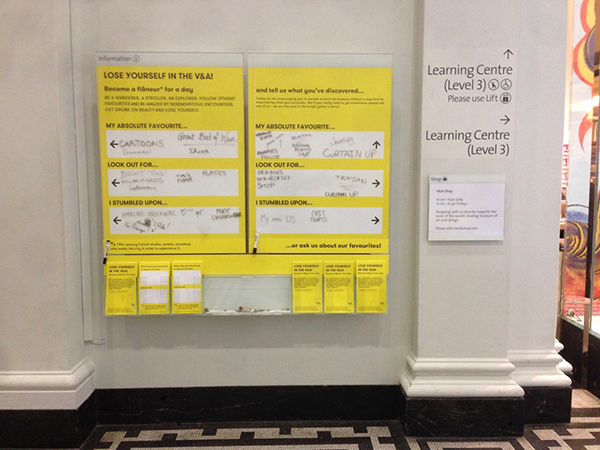 Visitors were then asked to share with others what they felt stood out during their wander of discovery by filling in the white blanks on temporary signs (designed by the team) that were positioned to hide the V&A wall maps. 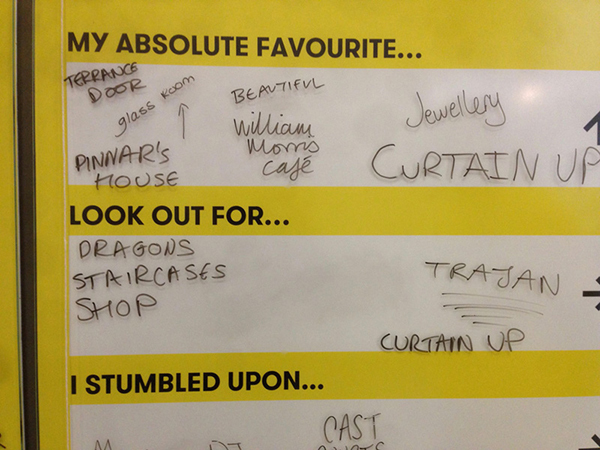 This created new signs acting as a directory to the museum entirely from the perspective of visitor interests and authentically in their voice. 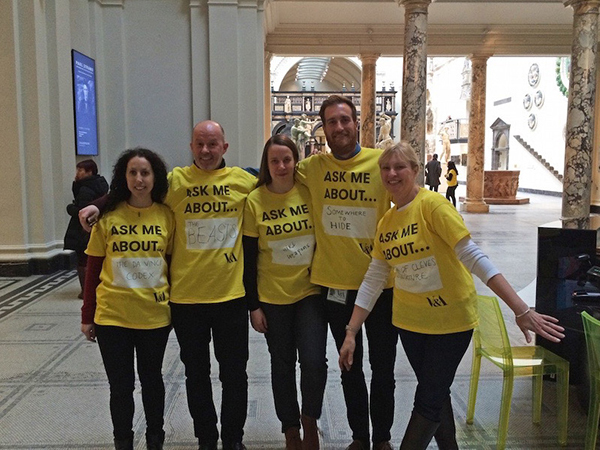 The design team even got the chance to be a V&A yellow-shirted museum guide for the day (no prior knowledge required) and while leaving visitors lost, invited them to fill out yellow visitor feedback forms (also designed by the team).